Nestled into the heart of Dublin’s south retail district, passed by thousands of shoppers and visitors each day, is Number 2 St. Andrew Street. A handsome, four-storey Georgian house, it is recognisable as one of the last historic houses on a commercial street in Dublin to retain its domestic frontage. The original Gibbsian doorcase and window opes remain, having escaped the insertion of a shopfront during the 19th and 20th centuries. The sophisticated brick facade is remarkable for its subtle merge with Number 3 next door. A gracious bow in the brickwork effortlessly accommodates the distinctive kink in the layout of St. Andrew Street, allowing a continuous flow in the terrace up to the junction with South William Street. Number 2 is typical of the design of houses built in the area west of Grafton Street during an intensive wave of development in the mid to late 18th century. It was later converted into office use before becoming vacant by the late 20th century and in need of comprehensive refurbishment. 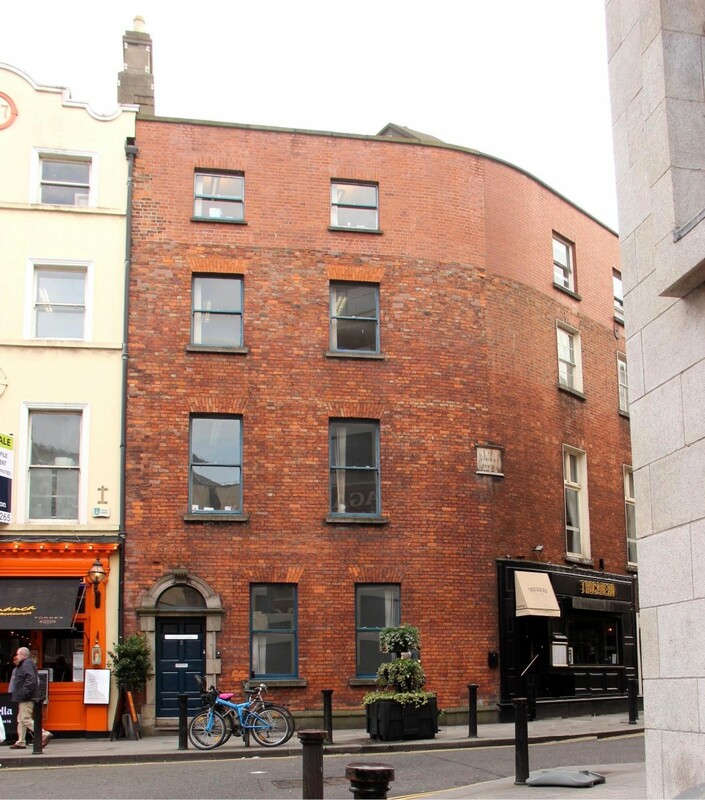 Under a partnership with (then Dublin Corporation) who owned the building, the house was fully restored as a demonstration project under an urban pilot project administered by Dublin Civic Trust. The house continues to operate as offices, providing an elegant work environment in an historic setting.